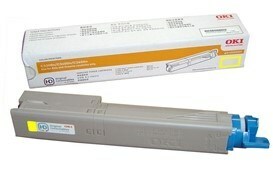 A genuine Oki 43459453 yellow toner cartridge aka C36YTONE (also replaces the older C33YTONE). For use in Oki C3300n C3400n and C3600n colour laser printers. Yield: 1,500 pages at 5% coverage.